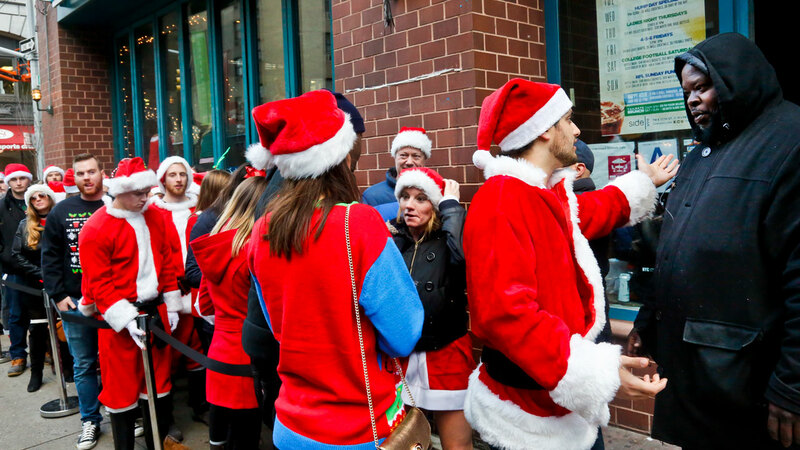 HOBOKEN, New Jersey (WABC) -- The rowdy holiday tradition known as 'Santacon' wreaked some havoc on the streets of Hoboken. 16 people were arrested on charges ranging from disorderly conduct to assault - among them were four people who were taken into custody at the Texas Arizona Bar after getting into a fight. Authorities say officers were assaulted and spit on. A 22-year-old woman was arrested for allegedly punching an officer in the face.